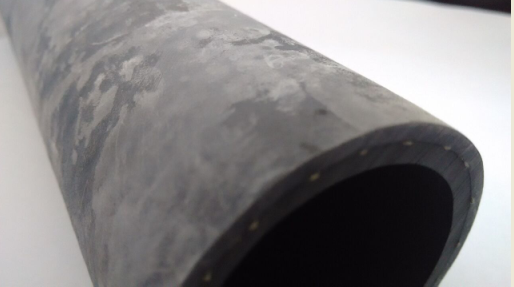 Detail Sometimes, we see white stuff on surface of Rubber Hoses, Molded Rubber Products etc.. Actually, it is one kind of migrations of solid or liquid materials/substances used in rubber compounding. It is commonly referred to as blooming. Rubber blooming is primarily a solubility issue. Ingredients bloom when they're in the compound beyond their solubility limit. Almost all ingredients which are soluble in rubber possess the capacity to bloom: sulfur, selenium, many accelerators, antioxidants, organic pigments, fatty acids and so on. It occurs may result from the change of temperature, bad storage, the sulfur is too much when mixing or not enough curing when molding, etc. Rubber bloom does not affect the quality of a rubber product. But If the white dust is undesired for appearance reasons, it can be washed off in light mineral oil/solvent. The incidence of bloom may be reduced under good storage including shielding parts from fluorescent light. In some case, blooming proves useful. Some antiozonants are designed to bloom to protect the surface of rubber products from ozone or UV. 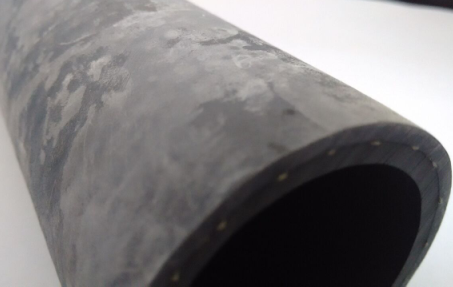 In some applications involving molded rubber products, fabricated rubber parts appeared bloom are actually easier to install because of the lubricating presence of bloom. The lubricant is added when the elastomeric compound is initially mixed to reduce friction. By design, the added friction-reducing agent will not be chemically compatible with the base elastomer in the curing process and migrates to the surface. The blooming of the agent keeps the external of rubber parts coated with lubricant and slippery. Goodyou Elastomer produce a wide range of Rubber Products including Rubber Extrusions, Injection and Molded rubber parts. All the elastomeric products are widely applied in the fields of auto accessories, auto parts replacement markets, power/engine systems,garden machines, and variety kinds of industrial machines, etc. For more information of custom made rubber products, welcome to contact with our sales team at sales@xmgoodyou.com.